The *lung* (adjectival form: pulmonary) is the essential respiration organ in all air-breathing animals. The lung's structure has evolved to efficiently enable gas exchange between biological cells and the atmosphere. Read here about how tensegrity concepts explain this structure in humans and other animals. The drawing and expulsion of air (ventilation) is driven by muscular action. The musculoskeletal system in the lung is structured so that it is stable, yet elastic. In humans, breathing is largely driven by the muscular diaphragm at the bottom of the thorax. Contraction of the diaphragm pulls the bottom of the cavity in which the lung is enclosed downward, increasing volume and thus decreasing pressure, causing air to flow into the airways. The lung tissues and enclosing rib cage itself are structured to expand and contract and enable breathing, like a blacksmith's bellows is structured to inflate and deflate. Sleep apnea, for example, results when the structure is not stable enough, and the sleeper is periodically oxygen deprived. Lazopoulosa invokes some tensegrity concepts when he describes the upper faryngeal area and its elastic connections. See article. Birds lungs obtain fresh air during both exhalation and inhalation. Avian lungs do not have alveoli, as mammalian lungs do, but instead contain millions of tiny passages known as parabronchi, connected at either ends by the dorsobronchi and ventrobronchi. Air flows through the honeycombed walls of the parabronchi into air vesicles, called atria, which project radially from the parabronchi. These atria give rise to air capillaries, where oxygen and carbon dioxide are traded with cross-flowing blood capillaries by diffusion. J. N. Maina at the School of Anatomical Sciences, Johannesburg, South Africa, researches the bird's lungs with other colleagues. 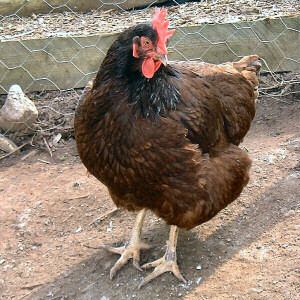 The rooster Gallus Gallus Domesticus, known as Rhode Island Red, is the Rhode Island state bird. Its lung has been explained to be a tensegrity structure. " Maina described the mechanical requirements of this tensegrity, particularly the rigidity or strength required. Maina later explicated the tensegrity structure of the common rooster's lung, identifying collagen fibers as the compressive elements.